The last round of 2019 Africa Cup of Nations qualifiers takes place this weekend with Lesotho needing a win away to Cape Verde to book a place in the finals. 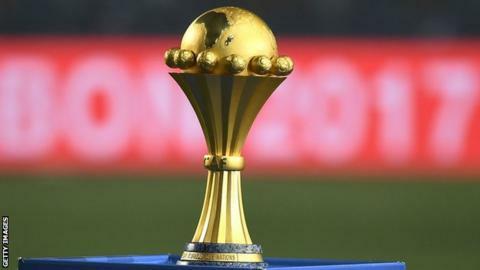 The small mountain kingdom of Lesotho sits tantalisingly close to a first ever place in the Africa Cup of Nations finals and has left few stones unturned in its bid to win away in the Cape Verde Islands on Sunday and book a place at Egypt 2019. The Lesotho squad head to Praia later this week after a period of intensive training at the High Performance Centre in Pretoria, using the sports scientists at the facility to help them fine tune their plans for their last Group L qualifier. With Uganda having already won the group, there is one other place available. Lesotho will qualify with a win against Cape Verde or even a draw, should Tanzania not win against Uganda in the other group game. "I'm aware that when we play Cape Verde it will be a physical game rather than a tactical one," says coach Moses Maliehe, who knows anticipation is running high in the southern African nation. "That's why we have started our preparation early to get our players tuned for the game. "We are ready to play Cape Verde; we know it will be a hard task and won't be easy and that they will attack most of the time." Preparing his players and ensuring they are super fit has been Maliehe's primary task over the last few months and the coach has had ample opportunity to work with the players. "We started early with the preparations because 90 percent of our players are home based." They have since been joined by seven foreign-based players, including Jane 'Sunny' Tsotleho, who plays for Louisville City in the USA, and Lesisa Thetsane, who is at college in Columbia, Missouri. Lesotho also have five South Africa-based players - Tswarelo Bereng, Tumelo Khutlang and Luciano Matsoso (all Black Leopards) and Nkoto Masoabi and Thabo Sefuli from Real Kings in the second division. "We have a chance," Maliehe says. "The game itself is already motivation for my players; I don't have to motivate them for this. It will be a first-time ever for Lesotho to qualify and my boys are ready for that opportunity. "We are well prepared. There is a real sense of excitement and anticipation."